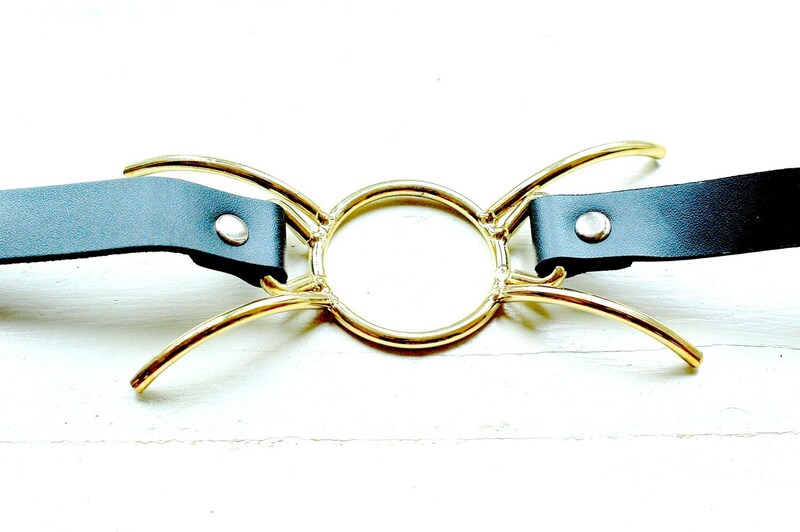 A golden spider gag that doubles as a collar or choker with a vegan leather strap. 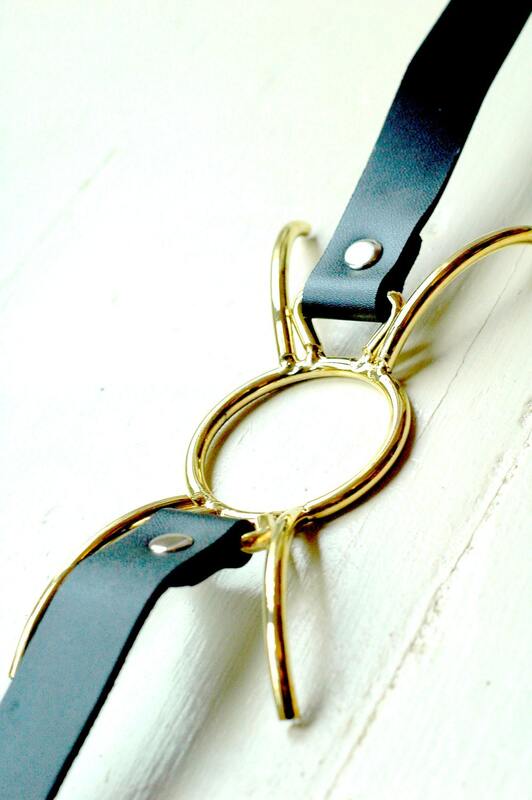 The clasp has a small opening for a lock to be fitted. The gag opening measures 5x5cm in diameter and each prong is 6cm long. All items come gift wrapped in acid free tissue paper and red satin ribbon. Brilliant - does exactly what you want it to. Also, good for those who have found other spider gags slightly small.